Gander Mountain had a special on the Ruger LCP for 290 bucks. I’ve seen them cheaper, but not locally, and ordering one from anywhere else comes with a 30 dollar FFL transfer fee. I noticed the deal in a flyer at Bitter’s mom’s in Roanoke, but there’s that whole federal law thing about not buying out of state. The nearest Gander Mountain in Pennsylvania is in Chambersburg, which happens to be on the way home, but they said they sold out the first day. Oh well. I’ll pick one up if I see one cheap at a gun show. Already have a Kel-Tec, but it’s getting kind of worn, and keeping the rust devil away is getting more difficult. I also need an LCP to match my Christmas present. Of course, the difficulty in acquisition is because I’m not willing to buy one unlawfully. Had I been, I probably would have one in my possession now. Bitter’s mom, being unaware, offered to get one for me when I mentioned I couldn’t buy it out of state, until I mentioned that would be a felony. Who do these people think these laws are stopping? Certainly not anyone intent on breaking them. I just passed a Hill of Geese near Erie, Pennsylvania. Bummer! Yeah, those Gun Control Act laws most acutely affect those of us who care about abiding the law. That seems crystal clear to you and me, but whatever … I guess we are too dense to understand the law’s true utility. One local shop near my home has LCPs at a regular price of $279. That shop really does great prices on NIB guns, especially handguns. For example, NIB Glocks are priced at $464. You can’t find a local FFL who is cheaper than $30 for transfer? 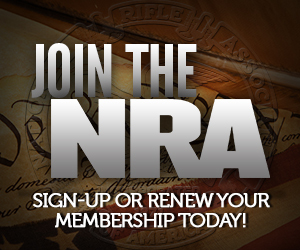 You’ve done the “Find an FFL” using the GunBroker website? I found an FFL here who does transfers for $15 … he’s an 07 FFL so can do SBRs, suppressors, and auto-guns. I think he charges $20 for NFA transfers. Not only are his fees good and low, he’s just a super nice guy with a great family. And you should see his 14 year old daughter … she can run a Glock 18 like a professional! yep, how often I walk past boxes upon boxes of normal-capacity magazines for dirt-cheap when I’m in free New England states. Or of course the tempting fliers from Midway and Brownells for non AWB compliant stock kits that you can simply order. And of course the real criminals doing violent awful things will cop a plea to a lesser crime, and be given the bare minimum sentence for said crime. You are passing on $276 + free shipping + $30 FFL = $305 because you would rather pay $290 + between $17.40 and $23.20 in sales tax(5-8% depending on county?) = $307.40 to $313.20?? To have had it without having to deal with the hassle of arranging things with the FFL? Yes. In PA it would have been 307 with sales tax. So yeah, I’ll spend two extra bucks if I can pick one up on the way home. Cheaper than Dirt Guns in McKinney Texas had them on sale for $250 on black friday. I was so tempted just no cash at the moment.